Maido atmospheric observatory, University of La Réunion. © Thibaut Vergoz / CNRS, 2019. THE EUROPEAN UNION has set itself the goal of having the first 20 universities of the European Universities initiative in operation by 2024. The universities of the outermost regions offer an even more ambitious goal: that one of the new European Universities — with degrees, mobility and science European– settle in the Ocean; and not in a single ocean, but in three at a time: the middle Atlantic, the Indian and the Caribbean. They have just laid the first stone, the Campus Rup alliance of seven ultraperipheral universities, eligible for the 2019 call for the Erasmus + program: 60 million euros for the first 16 cooperation projects of the European Universities initiative. 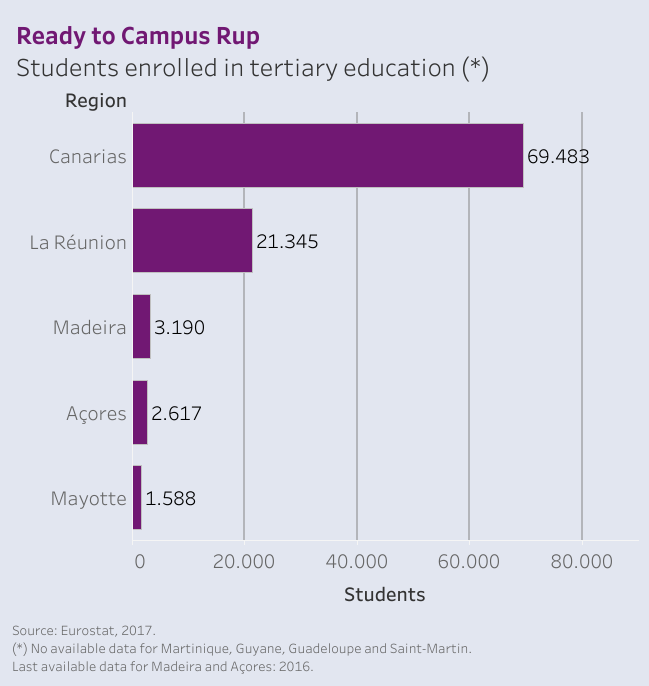 Campus Rup provides a mobility motorway for university students, professors, researchers and administration and services personnel, among the nine rup regions of the EU. Of the 100,000 university students in the nine outermost regions –according to Eurostat, 2017–, the Campus Rup alliance estimates that, in three years, it will be able to move approximately one half, from one university to another in the region, to study, to investigate, or to train as teachers and as administrative staff. Mobility will be physical, with stays in other outermost regions; virtual, following the plans of study of another university of the alliance through an online platform; and blended, moving to another university and, at the same time, connecting to the study plans of a third university of the Campus Rup. The objective is the “freedom of physical and virtual movement of the body of students, teachers and administrative staff”, according to the project presented to the European Commission on February 28. The coalition sees itself, within three years, as “a success story of the efforts of the universities of the outermost regions to network and collaborate unhindered across their borders.” The Campus Rup alliance forms the universities of the Antilles –Guadeloupe and Martinique–, Guyane, the Azores, Madeira, La Réunion, La Laguna and Las Palmas de Gran Canaria, as well as the Government of the Canary Islands. The Government of the Autonomous Region of Madeira joins as an associate partner: it can participate in specific tasks of the project, it can help disseminate it and it can contribute to sustain it, but it can not receive European funds. The Campus Rup partners will build a virtual campus, conceived as “an innovative hub for learning and virtual mobility”. It will offer courses “one hundred percent online” for the students of the seven ultraperipheral universities. The vehicular language in Campus Rup will be English, although students will have to master French, Portuguese or Spanish as a second language. If elected by the Commission as one of the first sixteen European Universities, the outermost alliance is committed to “this powerful online tool being used by the members of the alliance at an institutional, academic and technical level”. The overseas university highway project has four pillars, defined in the project submitted to the Commission: training, mobility, European citizenship and science. Students can study a joint curriculum, and credits and jointly designed degrees will be automatically recognized by the seven universities of the alliance. The academic degrees of the seven universities that have common content will be mapped and global agreements of automatic credit recognition will be created between these degrees. “The students will see the credits obtained in any of the member universities of the alliance recognized” with the simple presentation of the certificate of marks, which will facilitate their mobility from one university to another -plan the project partners. In the outermost regions alliance Campus, two Master’s degrees will be taught in European Studies and in the Blue Economy. They will serve as pilot programs to test cooperation and “learn about how to structure and organize other curricula” in common. 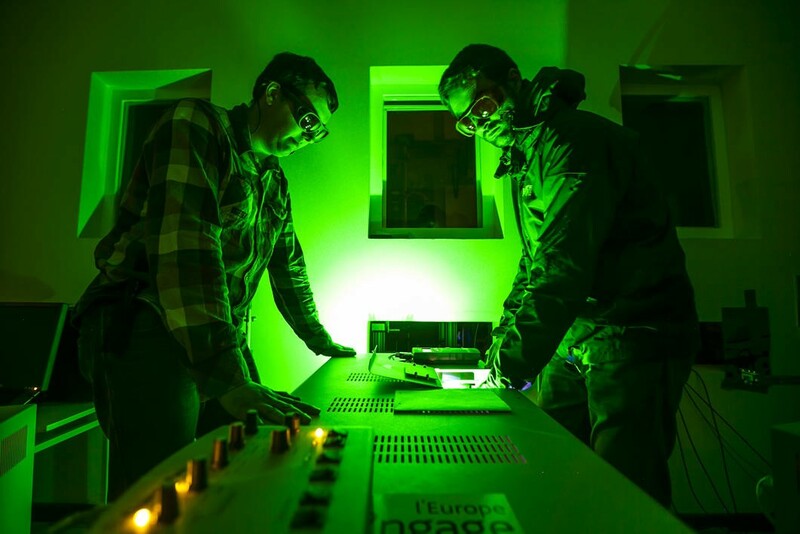 And it is that the continuous observation, the metrics of results and the learning from the experimentation constitute fundamental practices of the project. After all, Rup universities go into unknown territory by laying the foundations of a future European university overseas fully integrated into the European Higher Education Area. The outermost coalition wants to be a useful knowledge and innovation platform for companies. Campus Rup foresees a close relationship with the Forward project and its 24 partners, all innovation producers in the outermost regions. Forward is beginning to develop a strategy of excellence in the outermost R&D, with the support of the Horizon 2020 program of the European Commission. It was presented to the public in November 2018, during the Conference of Presidents of the Ultraperipheral Regions held in the Canary Islands. In mid-February 2019, the first meeting of the project partners was held in Las Palmas de Gran Canaria, where the working packages were defined, tasks were distributed and deadlines were set to execute them. Campus Rup has informed the European Commission that it intends to contribute to the innovation ecosystems of the outermost regions with an offer of studies that will be aligned with the smart specialization strategy of the outermost regions in fields such as the blue economy, clean energy, biotechnology, astrophysics, agriculture or tourism. The Citizenship pillar of the Campus Rup project includes specific training in the values ​​of the European project. “One of its purposes” -expose the partners- “is to train professionals from the outermost regions to feel fully integrated and conscious of Europe, highlighting the different opportunities that the European Union offers to future and current professionals”. In three years, the seven universities of Campus Rup commit themselves to “increase the level of Europeanization” of their university communities. The in-depth learning of European subjects will result in “professionals more integrated in the European construction and with better capacities for a full professional development in a world in constant evolution and competition”. The outermost universities offer Europe an overseas university fully integrated into the European Higher Education Area. Its value proposition is the high speed of circulation of knowledge and creativity that generates employment, growth, social cohesion and Europeanism in the EU’s border regions. 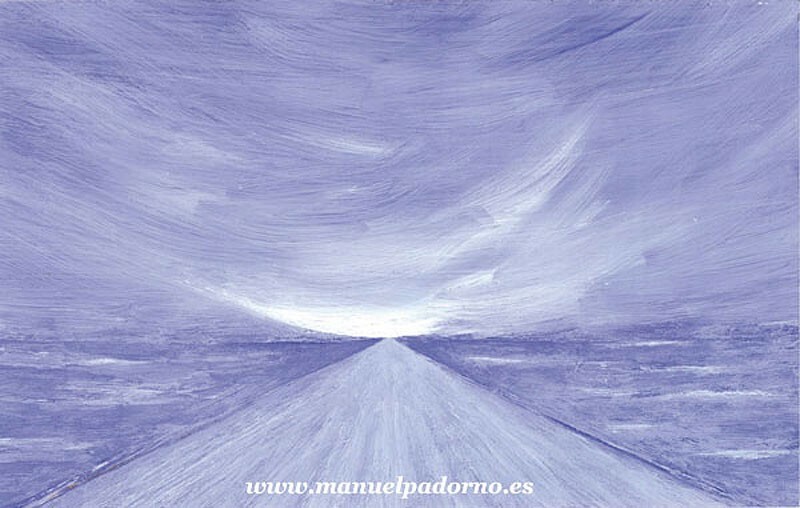 If William Blake was right and everything that exists begins as an image, the idea of ​​a highway of knowledge crossing the ocean may well have begun in the painting The Road to the Sea, one of the paintings of the ultraperipheral writer and painter Manuel Padorno ( Santa Cruz de Tenerife, 1933 — Madrid, 2002) for his project of a secularized Atlantic Chapel.